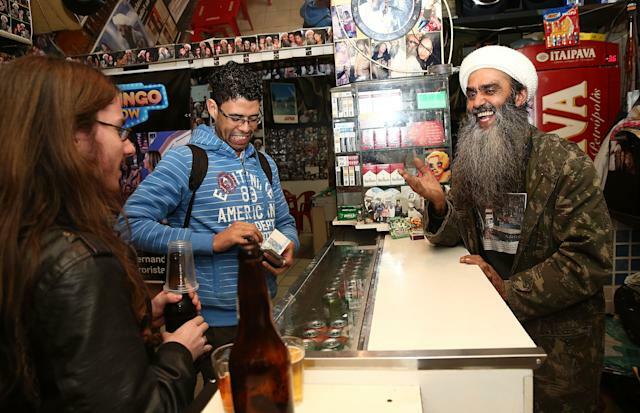 Many Brazilians stand opposed to the astronomical cost of hosting a World Cup, but the influx of tens of thousands of tourists to the South American nation will generate a vast amount of revenue for hotels, restaurants, bars, clubs, prostitutes and taxis. 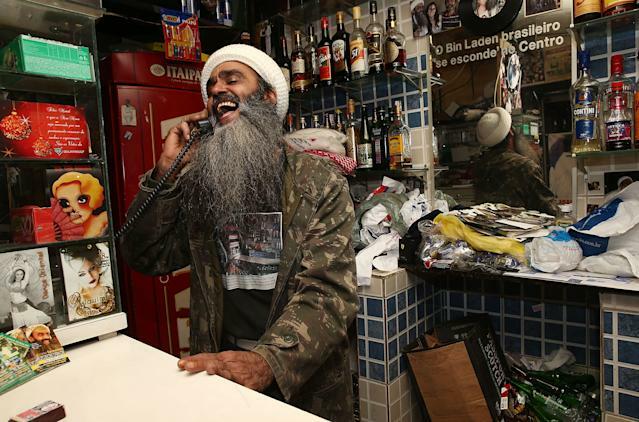 One business that may benefit is the Bar do Bin Laden, a drinking hole in São Paulo run by an Osama Bin Laden impersonator. 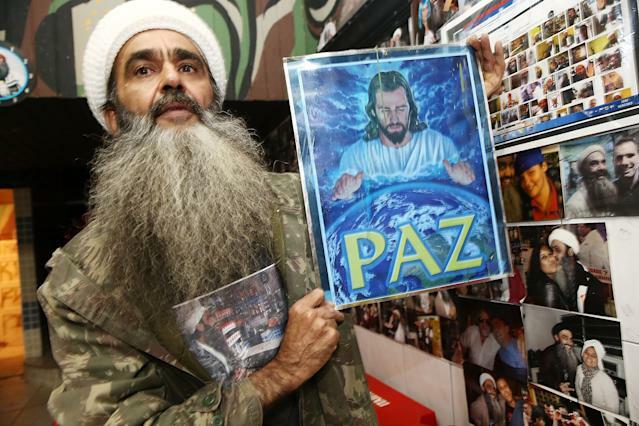 Shortly after 9/11, bushy-bearded bar owner Ceará Francisco Helder Braga Fernandes came to the attention of authorities when a customer claimed the world's most wanted terrorist was hiding out in Brazil. 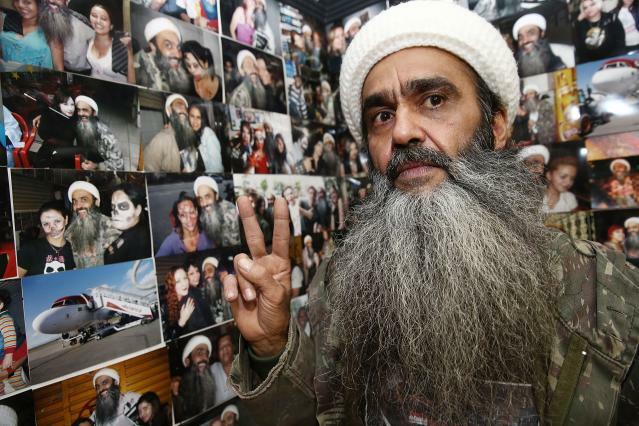 According to The Guardian, police laughed off the claims and he became a local celebrity for his likeness to the man who orchestrated the World Trade Center attacks. 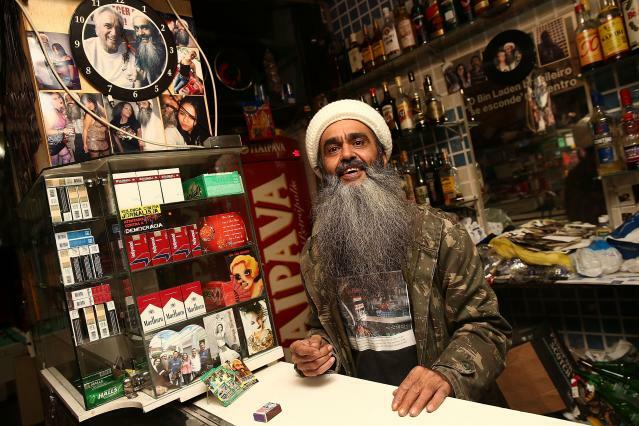 Before long, Fernandes renamed his bar and began dressing like the terrorist who has since been compromised ot a permanent end. 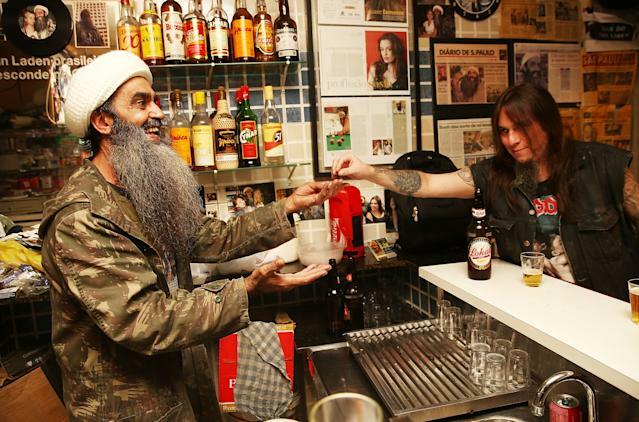 The drinking hole is apparently popular with goths and rockers and is situated in the run-down Anhangabaú neighborhood. That's around five miles from the United States National Team's World Cup base at São Paulo FC's training facility. Suffice to say, the US team will almost certainly not be giving the bar any custom during their stay, but the Arena de São Paulo is hosting six games during the tournament — including the opener and a semi-final — so it may experience an upturn in business from fans who are brave and/or bemused enough to enter. 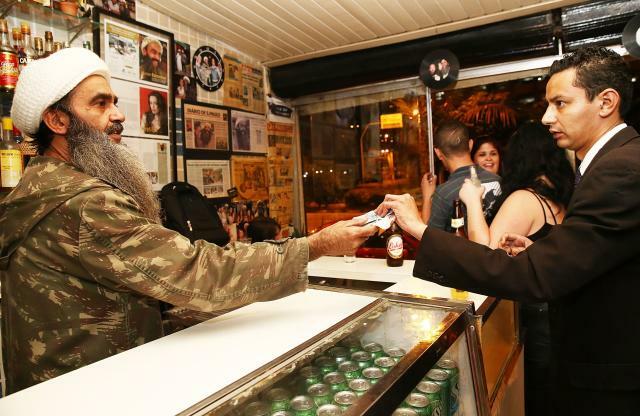 Incredibly, this is by no means the only Bin Laden-themed bar in Brazil. 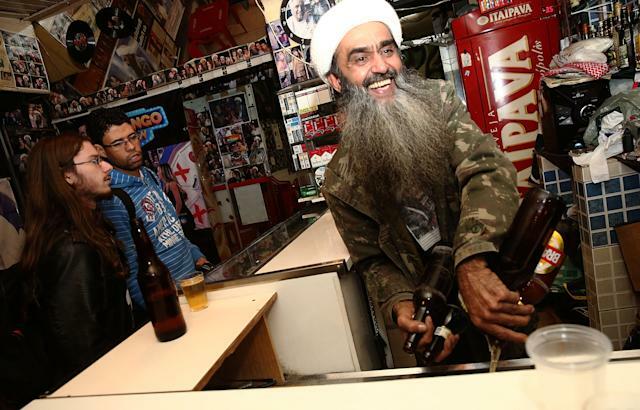 Vocativ have found there are nearly a dozen Bin Laden-themed drinking establishments in the World Cup host nation, including a pool hall across the bay from Rio de Janeiro named "Bin Laden's Cave" and the Bin Laden Bar in Juiz de Fora which boasts another lookalike bartender.